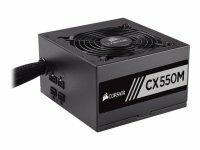 Unlike their piratical namesakes, the people at Corsair only have the noblest of intentions when it comes to high quality power supplies. Whether you're looking for a standard replacement or in the process of beefing up your system into a gaming dream machine, a Corsair PSU will meet your demands admirably. 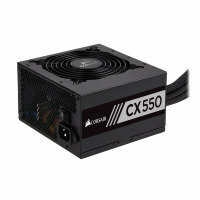 Corsair's range of reasonably priced power supplies are the perfect solution for those looking for no-nonsense yet effective PSUs with maximum compatibility. Available in a variety of power configurations, Corsair PSUs offer the kind of output and stability you'd expect from premium models at a great value price. As well as keeping an eye on energy efficiency, the modern user is also conscious of the amount of noise a PSU might make. Allay your fears when you choose Corsair. A combination of efficient build and fan design mean your PSU gets the cooling it needs without the excessive whirring.